Designed to fit Motocross boots, this boot bag features hard-wearing tarpaulin on its base, not only for strength but also for easy cleaning. Complete with a large zip pocket for easy access and practical webbing for easy carrying. 43cm Height x 37cm Length x 26cm Width. Durable 600 Denier Polyester main body material. Tough Tarpaulin material at the base and lower sides is easy to clean. 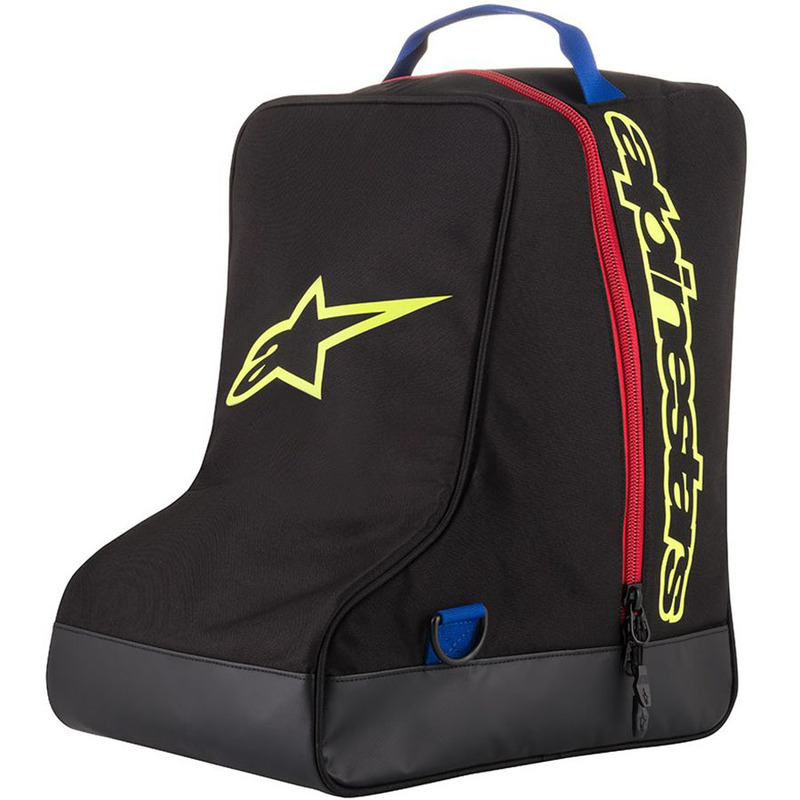 Sized to fit Alpinestars Motocross boots up to size 14 (US). Piped seam construction for durability and additional wear resistance. Adjustable webbing should strap with D-Ring connections for either left or right side carrying. Large Mesh Vents for maximum airflow Lined with 210 Denier Polyester. Internal Open Mesh Pocket with an elastic top edge. Branded with large Alpinestars Printed Logos.